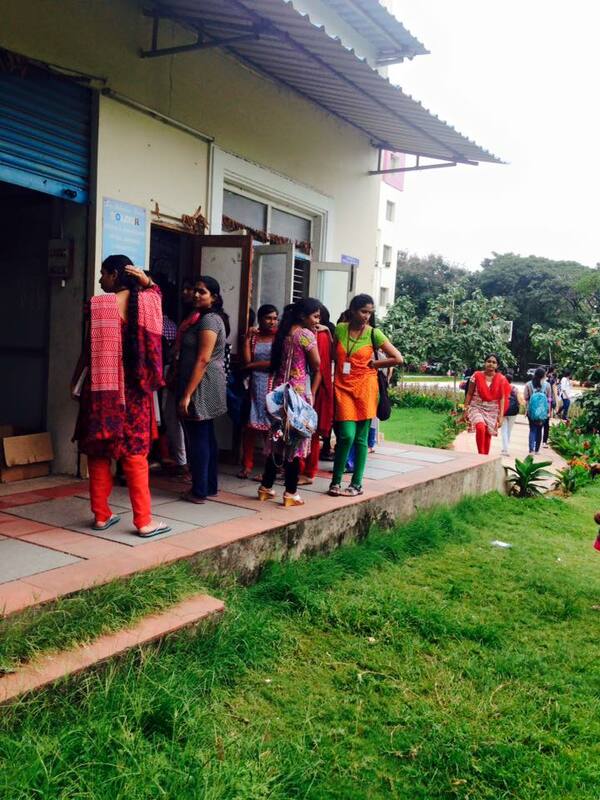 Here at GNITS, internal exams have been going on since Monday. Let me give you a quick shot of how the college atmosphere is at this particular time of the year. 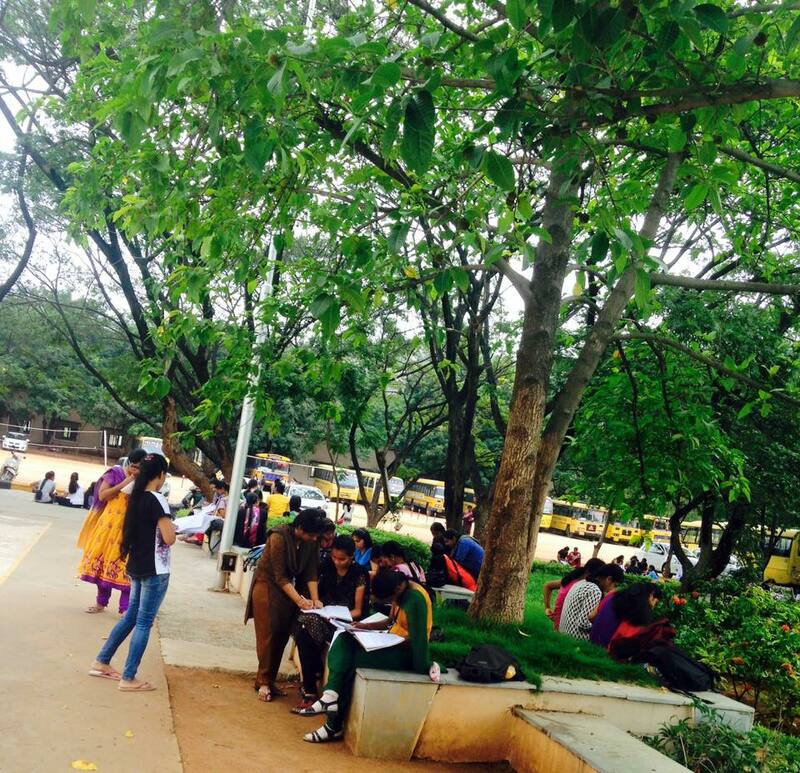 In the afternoons you can see more groups of students who have exam in the afternoon session. 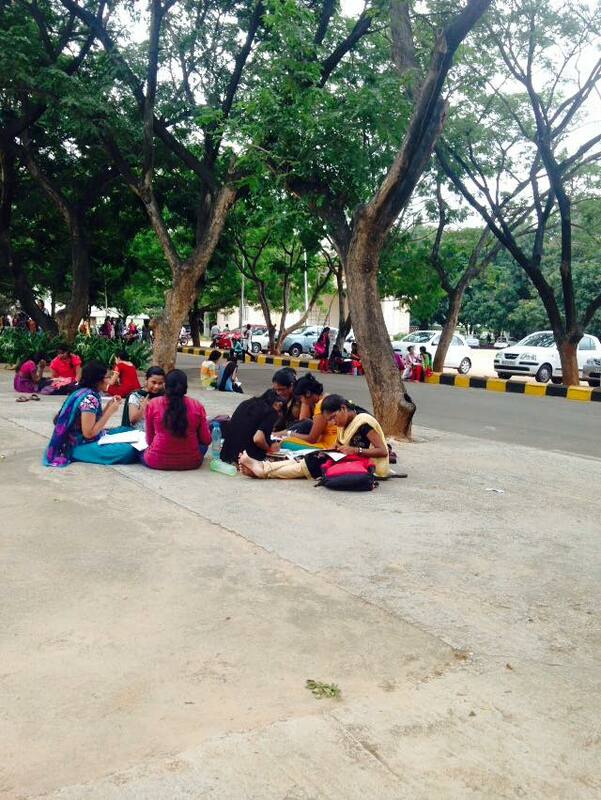 Girls with textbooks in their laps and lunchboxes in their hands, not wasting a single minute of study. Girls trying so hard to concentrate that they start reading out real loud, plugging their ears from unwanted noise, or start walking around the basketball court with books in one hand, and drawing imaginary figures in the air with another. Evenings are a lot more calmer, now that everyone’s done with their exam for the day. The only place of happening would be the xerox shop- jam packed with students desperate for notes for their next exam. Exam time is the one time where the xerox-shop owner earns like crazy. One common trait of all you Hyderabadis out there is love for food. Be it a plate of Biryani, bowl of haleem or a platter of payasam, we Hyderabadis enjoy it all. So for all you foodaholics out there, here’s one dish that really left my tummy satisfied- Spicy Chicken Sizzler at Beach House-Bar and Grill, Madhapur. Though the dish isn’t actually “spicy”, the taste levels of it was off boundaries. 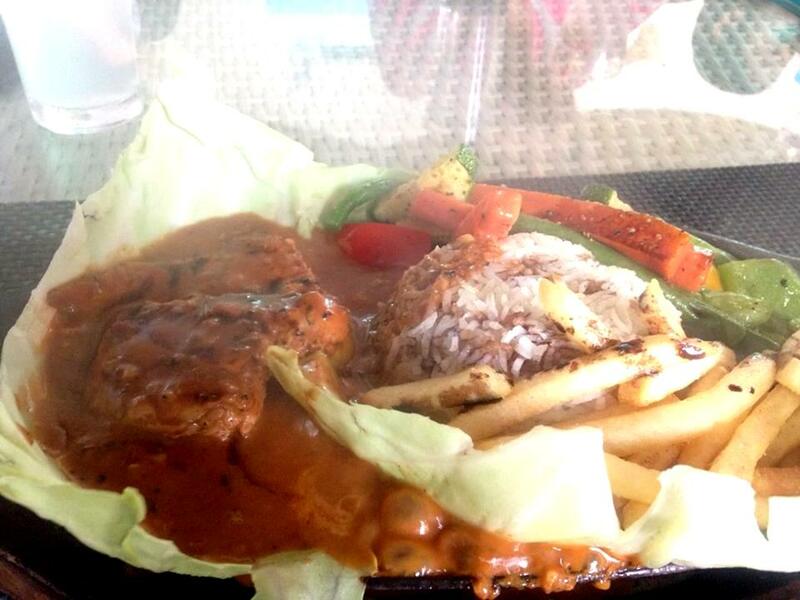 The sizzler includes grilled chicken steak with a small serving of flavored rice, and a side of french fries and boiled vegetables swimming in boiling hot gravy. The rustic presentation complements the savory dish as well. It will certainly leave you wanting more! 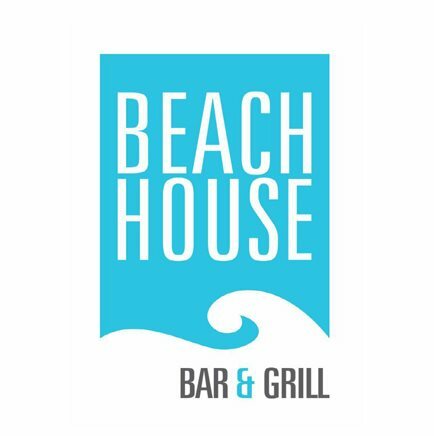 Overall, Beach House is a great place to hang out with friends. The ambiance of the place is spot on. Price of each item is pretty reasonable. And obviously quality and taste is unquestionable. So for those of you who have visited the place, hopefully you agree with me. 😛 And for those who haven’t, make sure you do check it out.